I have a data source with string fields containing dates formatted like 20180202120000 (YYYYMMDDhhmmss) and I would like to write these in date fields in a shapefile using FME (2016.1). 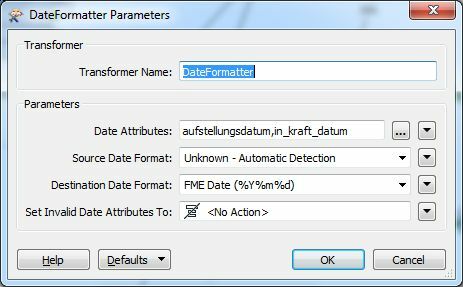 When I redirect the writer to FMEInspector, the result looks as expected, but in the resulting shapefile the date fields contains only NULL values. No Idea what I'm doing wrong, any hints? Not the answer you're looking for? 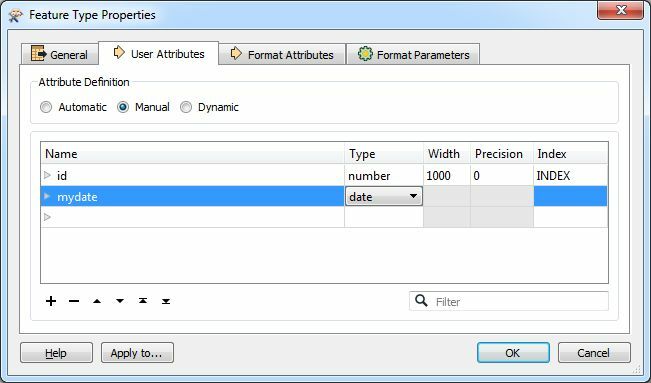 Browse other questions tagged shapefile fme date null or ask your own question. 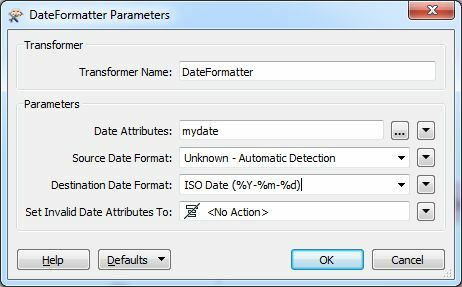 How to convert date to an arbitrary format in FME Workbench? Adding multiple GDBs in Writer for FME?